The government of Argentina announced last week that it will create two new marine national parks in the Southern Atlantic. Tompkins Conservation is proud to play a part in this effort, lending its expertise in conservation activism to catalyze their creation. This is an important first step for Argentina to protect its oceans, and a first step for Tompkins Conservation in ocean conservation. “With this initiative, we extend our national park creation work from terrestrial conservation to oceanic. Establishing an ambitious system of marine national parks (in other words, no-take marine protected areas) is a way for Argentina to show global leadership in how a society can support the legitimate aspirations of its people while also being a good neighbor to our nonhuman neighbors who live in the sea,” says Kris Tompkins, leader of Tompkins Conservation. Read further for the full story. Buenos Aires, September 26, 2017 – Vice chief of Cabinet of Ministers, Mario Quintana, announced today the Federal Government will send a bill to the National Congress for the creation of two large marine protected areas close to the Southern tip of Argentina in the Southern Atlantic. The decision of the Government is a conclusion of many months of official meetings, technical debates and difficult negotiations among authorities from several ministries. During the meeting in the Pink House (e.g. 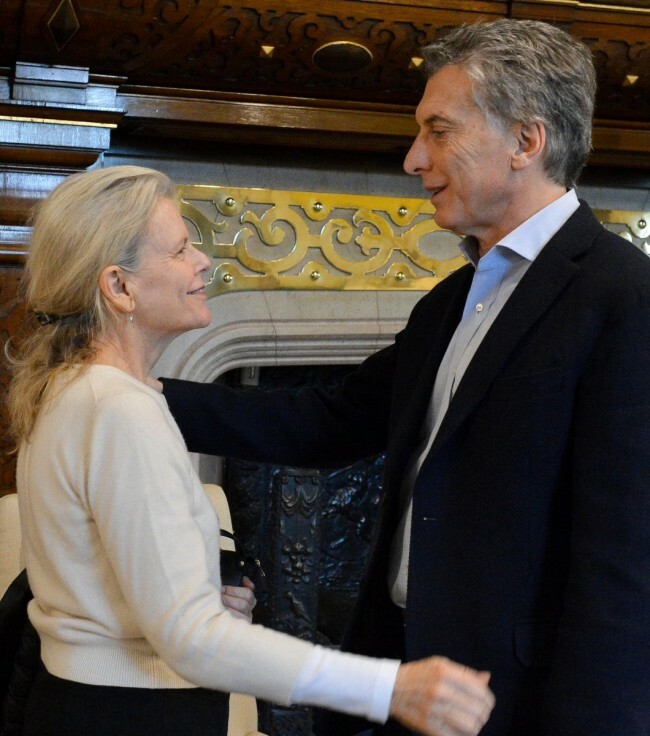 Argentinean house of government), Governmental officers showed publicly their gratefulness with the civil society organizations that advocated for marine protected areas. Tompkins Conservation was mentioned several times, as it supported strongly decision-making by the Federal Government on this issue and also undertook a communications campaign in order to raise public support for ocean conservation. Argentina’s jurisdictional waters cover 36% of the area of the country. However, less than three percent is included in marine protected areas. 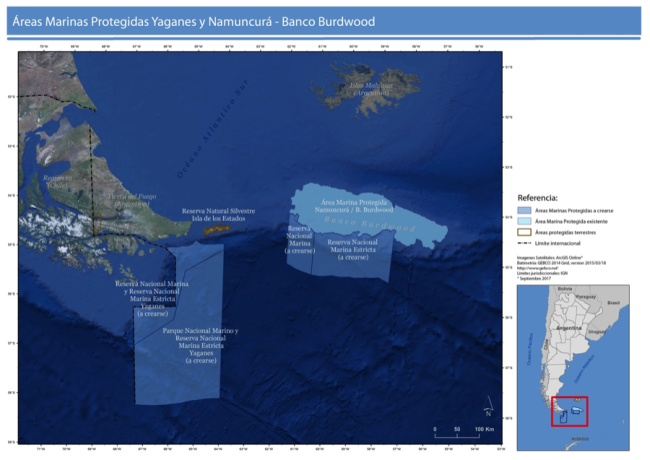 The existing marine reserves are all coastal but just one (Namuncurá – Burdwood Marine Protected Area, established in 2013) protects deep waters. As a signatory country of the Convention on Biological Diversity, the nation should reach at least a 10% protection rate of its waters by 2020. The Government of President Mr. Mauricio Macri took the first step towards the establishment of a network of Marine Protected Areas in federal waters by appointing the National Parks Administration as the authority of the National System of Marine Protected Areas on June 8, 2017 (World Oceans Day). Tompkins Conservation together with other NGOs had been advocating for that first decision. After many years of research and assessment, scientists and NGOs in the Forum for the Conservation of the Patagonian Sea identified the relevant areas for the conservation of biodiversity in the Argentine Sea. Tompkins Conservation, as leader of the campaign “Sin Azul No Hay Verde” (following the famous slogan by Sylvia Earle; “No Blue – No Green”) celebrates the announcement by the Government. The campaign will focus now on increasing awareness by the congress representatives towards the urgent need to enact the National Law that will create these two new Marine Protected Areas. The bill establishes that there will be two new marine protected areas: the “Yaganes” Marine National Park, Strict National Marine Reserve and National Marine Reserve (69,000 km2) and the “Namuncurá – Burdwood Bank II” Strict National Marine Reserve and National Marine Reserve (29,000 km2). 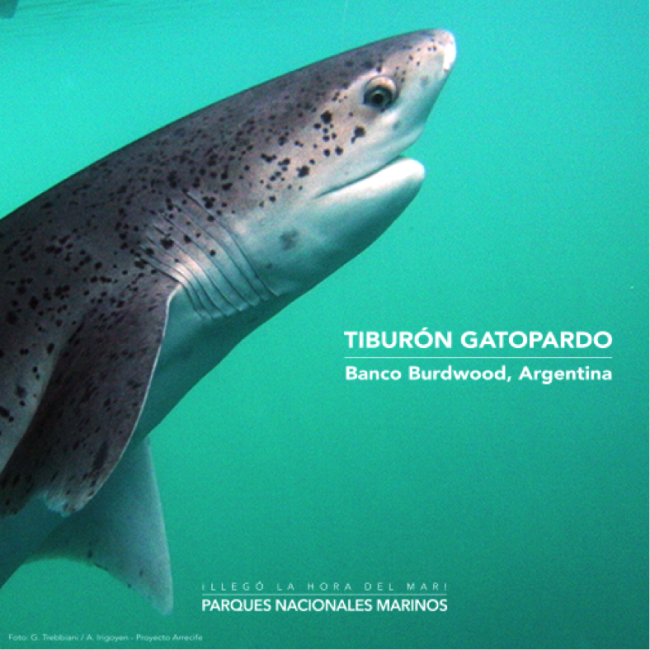 Both marine parks will be placed on the Southern Patagonian sea. This new marine park has rare, fragile and slow recovery species, such as cold water corals. It is a site of aggregation of the Malvinas sprat, of great ecological importance in the whole region. It has relevance as a foraging area for species of seabirds threatened at the global and national scales. There are many species of marine mammals (including threatened species) that feed or move through the area. Marine Protected Areas have become a global trend, used as one of the most effective tools to mitigate climate change by protecting the habitats and species responsible for carbon sequestration and storage at sea. They also create a shelter for ocean ecosystems and ensure a sustainable fishery economy and the conservation of species of great interest for coastal tourism.